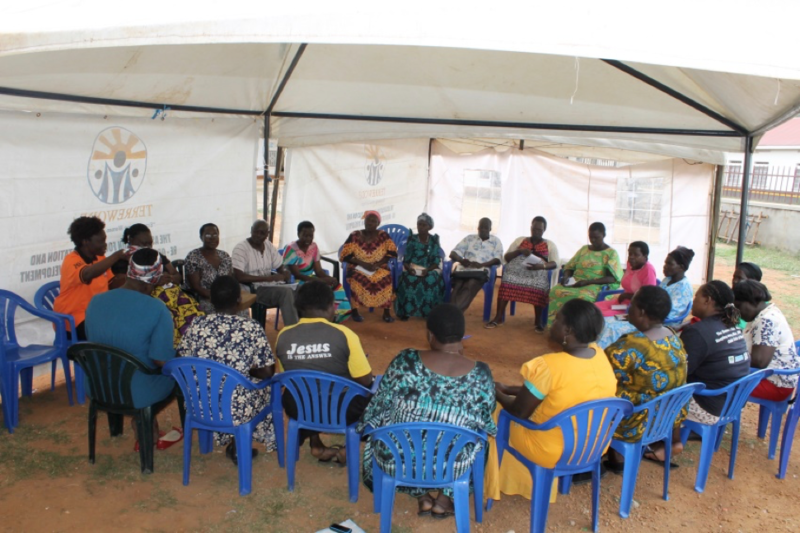 Board members sit with community women representatives for an orientation meeting shortly after the board’s Annual General Meeting (AGM). TERREWODE is excited to welcome Stella Kiyai, Agnes Zitta, Engulu Joseph, Eciku Michael and Joseph Ekalam to its 2017 Board. Returning board members include: Edward Ocon, Grace Lwanga, David Amudu, Janet Kenyi, Janet Apugo Eragu (commonly known as “Mama J”), Margaret Arienyo (commonly known as “Mama T”) and Alice Emasu.